For those of us in recovery, finding our moral and spiritual footing can be a struggle. The pursuit of drugs and alcohol has long driven our choices and actions, leaving the line between right and wrong blurred in the wake of addiction. For those of us in recovery, finding our moral and spiritual footing can be a struggle. The pursuit of drugs and alcohol has long driven our choices and actions, leaving the line between right and wrong blurred in the wake of addiction. 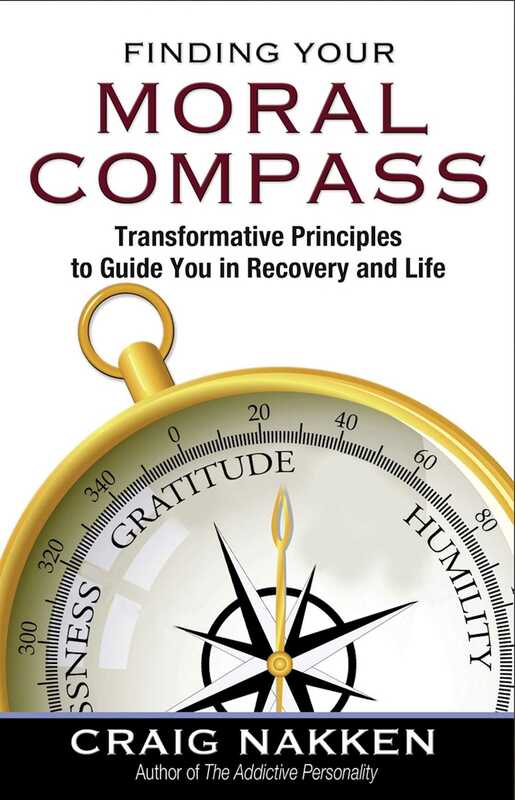 In Finding Your Moral Compass, Craig Nakken, author of the best-selling book The Addictive Personality, gives readers in recovery the model and tools needed to make life decisions in the pursuit of good. He offers 41 universally accepted principles, paired as positive and negative counterparts that guide behavior. He then inspires us with one fundamental challenge: To take responsibility for being a force for good by applying these principles to our daily lives. He encourages us to show empathy, be of service to others, and make the choice to stop being an agent of harm.When Nakken, a former addict, became clean and sober, he faced the "evil" inside of himself. It was then that he found his moral compass and made the decision to take responsibility for his actions using the Twelve Steps as his guide. He has taught hundreds in recovery to live by the principles of good, one day at a time.About the author Craig Nakken is the author of several Hazelden titles, including the perennial bestseller The Addictive Personality. He is a popular public speaker and a highly respected private practice counselor, with years of working in the frontlines in a number of treatment facilities.